Posted by admin in activity reports, Nicaragua, San Cristóbal. ‘Dos grandes “eructos” de volcán San Cristóbal‘ says the headline in Nicaragua’s El Nuevo Diario newspaper: ‘two big “belches” from San Cristóbal volcano’. The eructations in question happened on Friday afternoon, 2 July 2010: two explosions from the summit crater at about 13:05 and 13:10 ejected pyroclastic material, ‘including rocks with a diameter of up to ten metres’, which caused fires in nearby grasslands. A ‘mushroom cloud’ of ash was produced by the second explosion, and light ashfall occurred in villages NW of the volcano. No damage or injuries were reported. An emergency plan was activated for the areas around the volcano, but there were no further signs of activity over the weekend. The Instituto Nicaragüense de Estudios Territoriales (INETER) described Friday’s activity as ‘normal degassing’. Posted by admin in activity reports, Concepción, eruptions, Nicaragua. Among the volcanic events that passed unrecorded here during my recent absence through illness was a burst of activity from Nicaragua’s Concepción volcano (which is among the country’s most active volcanoes). On 8 March an ash and gas plume from Concepción rose to 2,100 metres altitude and light ashfall was reported in nearby communities. Low levels of seismic activity and occasional small explosions producing light ashfall were reported during subsequent days. On 12 March Washington VAAC issued a volcanic ash advisory reporting an eruption producing an ash cloud that reached FL100 (10,000 feet / 3,000 metres altitude). According to news reports there were two further explosions on 14 March. No casualties or damage resulted, although civil defence alerts remained in place for communities around the volcano. The Nicaraguan geological service INETER described the volcano on 19 March as ‘practically in a full eruptive phase’, with 34 explosions between 18:00 on 17 March and 11:45 on 18 March. On 19 March it was reported that the Nicaraguan government was sending army and navy units to the area around Concepción to strengthen civil defence preparations and prepare evacuation routes, ‘just in case’. The location of Concepción, on the island of Ometepe in Lake Nicaragua, makes floods and tsunamis a potential danger if the volcano were to erupt. 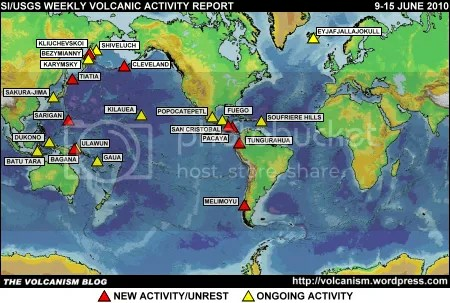 However, shortly afterwards activity at the volcano began to decline, with INETER reporting on 22 March that degassing and seismic activity had fallen to low levels in comparison with the preceding days. On 24 March INETER confirmed a ‘considerable reduction in activity’ but reported continuing ‘anomalous’ levels of seismicity. 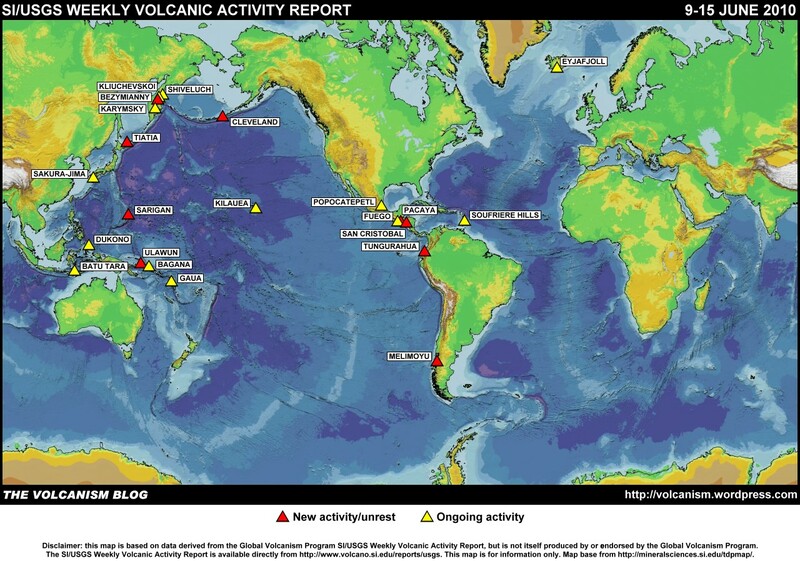 The current situation is that activity remains low, but the volcano continues to be carefully monitored. Concepción volcano in Nicaragua has erupted, with an explosion of gas and ashes that reached 150 metres into the air. The eruption took place at 08:40 local time (14:40 GMT) yesterday. Three villages located on the slopes of the volcano, Los Angeles, Esquipulas and San José del Sur, were affected by ashfall. There are no reports of injuries or serious disruption resulting from this eruption. Concepción (summit elevation around 1700 metres) is one of two volcanoes making up the island of Ometepe in Lake Nicaragua: the other is Maderas, to which Concepción is connected by a narrow isthmus. Around 35,000 people live on Ometepe, which is one of Nicaragua’s most popular tourist destinations. Concepción is among the most active Nicaraguan volcanoes, with frequent explosive eruptions over the last century. Posted by admin in activity reports, Ambrym, Caribbean, Chaitén, Chile, Colima, Dukono, eruptions, Fuego, Guatemala, Hawaii, Indonesia, Japan, Kamchatka, Karymsky, Kilauea, Kliuchevskoi, Llaima, Mexico, Nicaragua, Papua New Guinea, Rabaul, Russia, Sakura-jima, San Cristóbal, Shiveluch, Soufrière Hills, Suwanose-jima, United States, Vanuatu, Weekly Volcanic Activity Reports. The Smithsonian Institution/United States Geological Survey Weekly Volcanic Activity Report for 2-8 December 2009 is available on the Global Volcanism Program website. The following is a summary and not a substitute for the full report. Ongoing activity: Ambrym (Vanuatu), Chaitén (Chile), Colima (Mexico), Dukono (Indonesia), Fuego (Guatemala), Karymsky (Russia), Kilauea (Hawaii, USA), Kliuchevskoi (Russia), Rabaul (Papua New Guinea), Sakura-jima (Japan), San Cristóbal (Nicaragua), Shiveluch (Russia), Soufrière Hills (Montserrat), Suwanose-jima (Japan). Posted by admin in activity reports, natural hazards, Nicaragua, San Cristóbal. ‘The steady expulsion of gas and ash’ at San Cristóbal volcano in Nicaragua is causing concern for the surrounding population and the civil defence authorities, reports the Nicaraguan paper El Nuevo Diario: the volcano ‘has had three months of abnormal activity, although sometimes its behaviour is relatively calm’. The inhabitants of communities affected by the volcano’s emissions – Chichigalpa, Posoltega, Chinandega and El Viejo – have expressed unease at the consequences for their health, and the local government has warned that the ‘fumes and ash could have dangerous consequences for the population’. The Instituto Nicaragüense de Estudios Territoriales (INETER) is constantly monitoring the volcano, which last erupted, on a small scale, a month ago. Posted by admin in activity reports, Nicaragua. There has been a flurry of earthquakes under Apoyeque volcano in central western Nicaragua. The Instituto Nicaragüense de Estudios Territoriales (INETER) seismic monitor lists eight earthquakes since 20:00 local time on 29 September (03:00 GMT 30 September), with magnitudes varying between 1.6 and 3.1. No property damage has been caused, and there have been no injuries. Javier Mejía, INETER subdirector, is quoted in La Prensa as calling the activity ‘normal for a volcano such as Apoyeque’. Seismic swarms occurred at Apoyeque in 2001 and 2007, with the 2001 swarm including quakes up to magnitude 5.2.